At Decatur Garage owners John Bacon and wife Marianne Bacon team up to provide truly elite service with years of experience and expertise in an independent neighborhood shop. Our customers' best interest comes first and foremost, and we strive to provide the honesty and trust that leads to repeat business and recommendations. Our goal is to offer honest pay for honest work, focusing on high quality, reliability, and approachability. 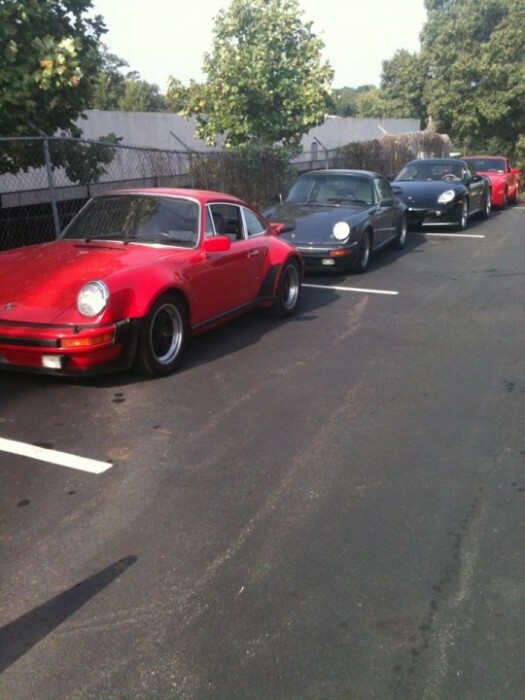 Decatur Garage provides a safe and clean environment in which to have your car serviced. We are by appointment only. Conveniently located 1 mile from the Avondale MARTA train station. 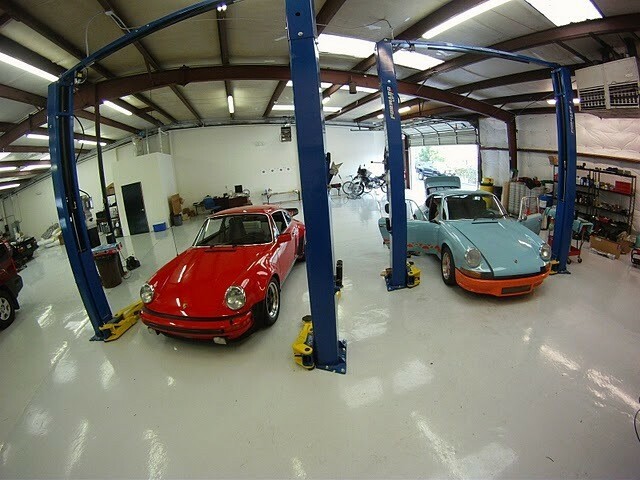 Decatur Garage has been involved with Porsche racing for over 30 years and has brought this quick thinking and race minded mentality to the road car service and repair side of the shop. 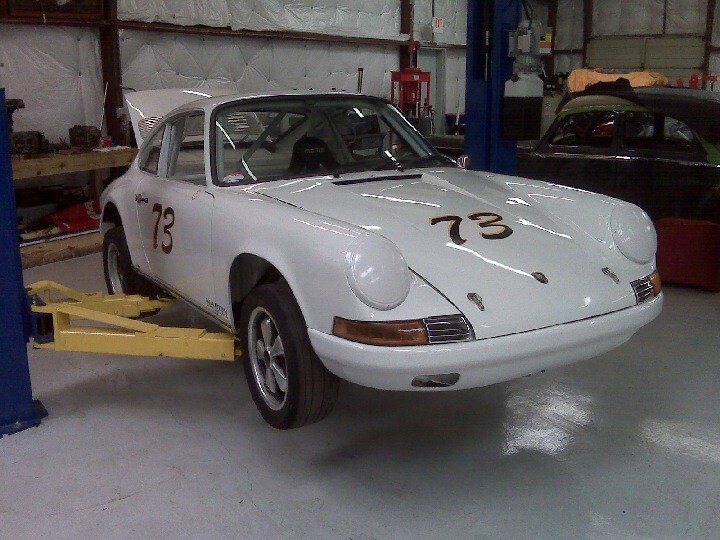 We are able to service and repair vintage and modern Porsche cars both air and liquid cooled. We have the tools and experience to help customers out with general service as well as complete modifications and engine and transmission builds. These cars are very specific in there needs and Decatur Garage knows the brand well and can support the desire of the owners as needed. We can also facilitate machine work for unique and rare engine parts and high-end restoration quality rust repair, paint, and body work. John Bacon has over 35 years experience as a full-time automotive technician, with numerous accolades and honors. Presented with the opportunity to learn about Porsches early in his career, John has developed a passion for the brand with the knowledge to back it up. In 1979, Decatur Automotive Center was born, and with that shop, many good memories tempered with many long difficult weekends and races. In particular, John twice supported race cars at Le Mans, the world'ss oldest sports car race in endurance racing. The Le Mans race is as unique as the Kentucky Derby or the Indy 500 - running on a closed public road circuit not only to test a car and driver's ability to be quick, but also to last over a 24 hour period. In 1976, John supported Toad Hall/Michael Keyser racing a Chev Monza, and in 1984 with Buick March Turbo. As a part of Pegasus Racing, a team based out of Atlanta by businessman Ken Madren, John ran in the IMSA series from 1982-1986 with a changing cast of characters as drivers. In the early 2000s, John worked with G&W Motorsports (which later became Synergy Racing), then moving on to work with Tafel Racing from 2005-2007. In both of these teams, John focused on Porsche 911 GT3 variants in GT Classes. "Racing teaches quick thinking and problem solving," John says. "Learning what works and what may be text book can be very different." This approach carries over to the way Decatur Garage operates, so that customers can feel total confidence in our judgment both technically and financially, while also offering a low key but sharp presence, and delivering on our reputation. Pay for parts and Oil only!! WOW! I was met by one of the most inviting warmest and sweetest persons on the planet. Mary found her special place in the world and that's doing just what she is doing. These people made me feel right at home and well taken care of. I just bought this car after years and years of owning Mercedes Benz so I was a tad bit nervous about what to expect in dealing with an independent shop. Well no longer, I simply am in awe of how I was treated and the dept of knowledge they have about the Porsche brand. I have found my home for my baby. Thank you Decatur Garage for being you. It goes without saying that John Bacon and Daniel Palazzolo (co-Owners) have superior automotive technical and mechanical abilities but I was just as impressed with their aptitude in customer service. They probably get it from Mary Ann (John's Wife) who is the wonderful person you may talk with when first calling to make an appointment. After purchasing our Carrera S earlier this year, I immediately started my hunt for a great independent Porsche mechanic. I called around to several shops but after talking with Daniel several times on the phone I felt Decatur Garage was the place I felt most comfortable leaving my car. I called several times before actually doing business (once in May, once in August and September) and spoke with Daniel each time and believe it or not, he remembered our conversation each time I called. I wanted to baseline the "routine" maintenance on our car because the service history was a bit spotty and I was not sure what had and had not been done. Daniel went thru the entire car, changing all the fluids (brake, gear, diff), changing brake pads, drive belt, spark plugs, correcting TPMS, etc… I also thought I had a small crack in my windshield washer reservoir because I could see where washer fluid was leaking beneath the vehicle. That usually means the entire reservoir would have to be replaced. John found that the reservoir was fine; it was actually the washer fluid pump that needed to be replaced. This was a LESS expensive fix than replacing the entire tank. Daniel called after a few days and said the car was basically ready to go but he wanted to do a once over to make sure everything on the checklist was complete. I was excited to pick the car up the next day and was not disappointed. On the drive home I could tell Daniel did indeed cover everything we discussed. To me, the car performed better than when I dropped it off! You may get similar results at another shop\dealer as far as performance goes but you won't find better or more honest people to work with than the folks at Decatur Garage. It turns out that I did find a Great Independent Porsche Mechanic and I look forward to doing business with them in the future.